Post-Rally fellowship is all the richer because we have included our preborn brothers and sisters in our thoughts, words, and deeds. * Pete Delos Santos: a brother in Christ, Starsky to my Hutch as we visited the 35 churches in east Hawaii to invite them to the conference, and with each door that would open, the invariable exclamation would be: Pete! How are you? * Jackie Mishler: If there is an example of devotion to a cause greater than is Jackie's to the battle against euthanasia, I have yet to witness it - from Maui she organized all of the workshops, made all of the phonecalls, set up the displays, gave a couple of workshops, drew up the tech equipment lists, and I think found time for a half hour swim! Abortionist George Tiller's death brought an outpouring of national media headlines and Congressional condolences to his family by a resolution approved by the US House. Laura Hope Smith's death at the hands of an abortionist was and continues to be ignored and her mother's effort to bring it to the attention of her senator was stonewalled. 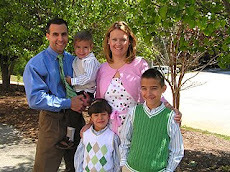 "Where was the press when my daughter Laura died at the hands of an abortionist?" asks Eileen Smith, Laura's mother. A media search shows mostly news reports from nonprofit organizations, religious news and other alternative media. Laura's death was mentioned 10 months later in one major publication, The Boston Globe, when the abortionist was indicted for manslaughter. It was 6 weeks before her local paper, The Cape Cod Times, mentioned Laura's death, although it sought out her mother for a two-hour interview just 2 days after Laura's death. Smith says the local newspaper rationalized delaying a report on Laura's death so it could corroborate it with an autopsy report. "Since when has news been postponed in lieu of reporting facts except in the abortion deaths of the mothers?" asks Smith. "I have to believe that it is only because the media's bias toward abortion determines what makes news," she said. "If Laura had died falling off a bike or in a car accident it would have been in the paper the next day," she said. "My daughter walked into that abortion facility healthy and she left dead," Smith said. 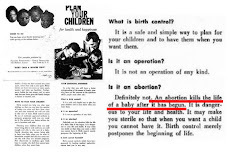 Smith believes Tiller's death is another senseless killing in the history of abortion, adding to the 50 million untimely deaths of unborn babies, including the 60,000 viable babies aborted by Tiller. "His death is a tragedy, but so are all the lives that were taken by him and the lives of over 400 women who have died as a result of an abortion," said Smith. The abortionist was indicted by a grand jury for manslaughter in the death of Laura, following an investigation by local police and the Massachusetts Board of Registration in Medicine. The District Attorney found the abortionist's conduct to be "willful, wanton, and reckless" because he sedated Laura with level three drugs without any means of cardiac monitoring or blood pressure cuff; had no assistant who could administer sedation, monitor the patient, or assist in resuscitating her; and, "failed to timely initiate a call to 911." 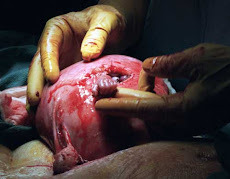 The board also alleged that the abortionist made false statements. Oakland, CA (LifeNews.com) -- After pro-life Berkeley pastor Walter Hoye was sent to jail following his conviction on a local ordinance that targets the free speech rights of pro-life advocates, he has returned to the abortion center where his offer of help to pregnant women led him to prison. Hoye has been ordered by a local judge to stay 100 yards away from the abortion center, but he says he plans to provide abortion alternatives information to women anyway. In response, an Alameda County prosecutor went back to court Friday hoping to convince the judge to order an injunction using the new Oakland law, implemented specifically to target Hoye, which puts a bubble zone in place within eight feet of women entering any local abortion business. Alameda County Superior Court Judge Stuart Hing delayed a ruling until next month but answered attorneys for Hoye by saying he believes he has jurisdiction in the case and broad authority to issue an order against Hoye preventing him from helping pregnant women considering an abortion. Hoye said it is clear that abortion advocates, who have control of Oaklands city council, are using the law to target people with whom they disagree. "We're at a point here in American history when the system is being manipulated to impose particular viewpoints on another viewpoint," he said. Attorneys with the Life Legal Defense Fund, a pro-life legal group defending Hoye, have filed a lawsuit challenging the Oakland ordinance in federal court saying it violates the First Amendment free speech rights and a hearing on it is slated for this coming week. Hoye chose 18 days in jail over volunteer work and a probation order to stay away from the Family Planning Specialists Medical Group on Webster Street.in Oakland but Hoyes attorneys and prosecutors say the order will likely be overturned on appeal. Hoye says he has returned to the abortion center twice since then to offer women better solutions to abortion. During the Friday hearing, Deputy District Attorney Mas Morimoto asked Judge Hing to keep Hoye 100 yards from the abortion center for a period of three years with an injunction for people who have been convicted under the bubble law. The Family Life Issues Conference has added a Pastor & Community Leader Appreciation Breakfast for the leaders in our community. This will allow for fellowship, as well as to have some personal conversation with our guest speakers, who bring with them worlds of knowledge and wisdom. Hawaii Right To Life - Hilo Chapter is planning a Family Life Issues Conference. The conference is to be held Friday 6/26/09 6:30pm until 9:30pm, and Saturday 6/27/09 from 10am until 5:00pm at the Saint Joseph Gym. 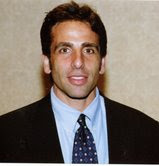 Bobby Schindler, spokesman for the Terri Schiavo Foundation brother of the late Terri Schiavo who was starved to death by court order in the case that riveted the nation in 2005 when Congress intervened but the US Supreme Court declined to avert the Florida decision. Pastor Walter Hoye, from a Bay Area Missionary Baptist church, recently released from jail after being convicted for sidewalk counseling in front of an abortion clinic under a law specifically designed to target him, president & founder of the Issues4Life Foundation which works with African-American leaders to strengthen their stand against abortion. The purpose of this conference, which will be entirely funded by Hawaii Right To Life - Hilo Chapter, is to build an ecumenical network to link together for the purpose of a unified front in response to legislation that may be introduced that opposes traditional, Constitutional, moral Judeo-Christian principles. Joseph M. Scheidler is National Director of the Pro-Life Action League, a national pro-life educational and activist organization headquartered in Chicago. The League is dedicated to saving lives through activism and to bringing the abortion issue to the public via the media. 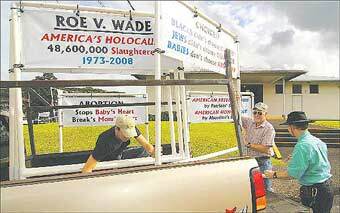 It has been said that Joseph Scheidler defined pro-life direct action. 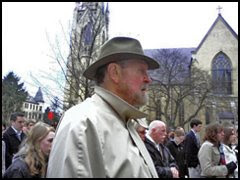 Joe Scheidler was called the Green Beret of the pro-life movement by syndicated columnist Patrick Buchanan. His book on his methods of fighting abortion, CLOSED: 99 Ways to Stop Abortion, was updated in 1993, and he has produced the videos Meet the Abortion Providers and Abortion: The Inside Story, featuring former abortionists who are now telling the truth about what goes on in the abortion clinics. Joe also produced the definitive video on sidewalk counseling, No Greater Joy, and Face the Truth, an 11-minute video on a unique, highly visible pro-life demonstration using large graphic abortion posters to bring the truth about abortion to the American public. To celebrate the League's 25th Anniversary, Joe produced the video, Action Speaks Louder Than Words, a chronicle of the Pro-Life Action League's activities and the importance of pro-life activism. Joe Scheidler is a stimulating and controversial guest on radio and TV interviews and talk shows and has appeared on more than a thousand programs including: ABC News Nightline, Donahue, Crossfire, Face the Nation, Good Morning America, MacNeil/Lehrer Report, The O'Reilly Factor and others. He has written many guest columns for newspapers such as USA Today and The Wanderer and has published articles in several national publications. Joe is a dynamic speaker on the moral dimensions of the abortion issue and the effectiveness of direct action. Nationwide, he has spoken in more than 1000 towns and cities since 1980 and has conducted on-site workshops and lectures in Australia, New Zealand, Ireland, Canada, and Italy. Before his sister Terri Schiavo's death, Bobby Schindler was an average citizen. He taught math and science in a Catholic high school in Tampa, FL. He had moved to Florida from his native Pennsylvania in order to stay close to his family: his parents, his sister, Suzanne and his older sister, Theresa or Terri. The Schindler family was always very close and the relationship between Bobby and Terri was exceptionally strong. Since his sister's death on March 31, 2005, 13 days after her feeding tube was removed by court order, Bobby left his teaching position and as spokesman for the Terri Schindler-Schiavo Foundation, travels across the country, appearing in numerous speaking engagements, devoting himself to protecting other people with disabilities and raising public awareness about the growing threat of euthanasia. Terri sustained serious brain damage in an unexplained collapse in February, 1990, that left her incapacitated. In the years to follow as the Schindler family battled her husband, Michael Schiavo in the courts to keep Terri alive, Bobby became the family spokesman. He addressed the nation through countless television, radio and print media interviews---the mainstream media which misreported the situation and was "less than sympathetic." As the urgency of Terri's situation grew, so did Bobby's efforts. After the feeding tube was removed from Terri, (March 18, 2005) at Woodside Hospice where she had been for five years - although not terminal - Bobby traveled to Washington to personally intercede with members of Congress to try to save his sister's life. Through his unique experience, Bobby illustrates the inadequacy of our nation's justice system and its diminishing respect for vulnerable human life. He speaks sincerely and plainly, with no agenda other than to honor the memory of his sister and to share his concerns and desire for a more compassionate society. Bobby's message is not just about Terri Schiavo, it is about the future of the country. Walter B. Hoye II is both President and Founder of the Issues4life Foundation. God used the premature birth (six months, 2.1 pounds) of his son to teach him that the fetus is a person, a living, breathing human being. As a young man Walter played football at Michigan State University where he graduated with a master's degree in sociology in 1980. In 1983 he graduated from the United States International University, now Alliant International University, with a master's degree in business administration. Currently, he is the Executive Elder of the Progressive Missionary Baptist Church of Berkeley, where Dr. Earl C. Stuckey, Sr. is Pastor. Walter is responsible for preaching, teaching, community relations and assisting the Pastor in leadership development. Walter annually competes in the San Francisco Marathon, enjoys martial arts training in Tae Kwon Do and Wing Chun and catches an NFL, NBA, NHL and MLB game whenever he can. As author of the book, Leadership from the INSIDE Out, Walter is in demand as a speaker and consultant. To read Walter's book online click here. To read Walter's commentary on issues facing the pro-life community click here. Walter is the father of two adult children. He and his wife, Lori, live in Union City, California. Currently, he is the Executive Elder of the Progressive Missionary Baptist Church of Berkeley, where Dr. Earl C. Stuckey, Sr. is Pastor. To read Walter's book online click here. 6/27/09 from 10am until 5:00pm at St. Joseph School Gym. Cardinal George told a recent gathering of Catholic priests that Obama says he is not pro-abortion, and that the Mexico City Policy, and opening the door to funding groups that promote and perform abortions in other nations, is not exporting abortion. So we ask again: What is truth? Planned Parenthood's response to the video by UCLA pro-life student activist Lila Rose, in which she tells Planned Parenthood officials she is 14 and sexually abused by a 31-year-old man, and staff telling her to hide the information from a judge: "PPGMR absolutely did not violate any laws in the way Ms. Rose was handled during her brief visit"
Well, we know what truth is NOT! How much we owe to our extraordinary guests! Many who attended believe the fundamental clarity of Walter's message and personality will find an audience across the nation. Yesterday, the Alameda County District Attorney (Thomas J. Orloff) filed a"Motion for Injunctive Relief Pursuant to Oakland Municipal Code Section 8.52.040 (see attached). The matter is set for Friday, June 19th, 2009, at 2:00 P.M. in front ofJudge Stuart Hing. This is the latest attack from the City of Oakland. The D.A. is asking Judge Hing to issue an order to keep me from approachingwithin one hundred (100) yards of theFamily Planning Specialist Medical Group's Oakland clinic(http://www.familyplanningspecialists.com/) for a period of three (3) years. I will be represented by the Life Legal Defense Foundation(http://www.lldf.org). Feel free to publish this information. As all ways, emphasize "Peace" and "Prayer" to all those that feel led by God to attend. "Peace" and "Pray" is the calling card of the Issues4Life Foundation, as we are committed to the principles of "Non-Violent Civil Disobedience" advocated by Dr. Martin L. King, Jr. As I learn more I will keep you posted. Thank you Joe & Eric Scheidler! There are a growing number of experts that are warning us of the impending dangers of a President Obama health care plan. Hopefully, instead of a nation that seems to be apathetic to this growing danger, Americans will begin to pay attention. In particular, to what one expert wrote explaining how Obama's new stimulus bill is going to affect "every individual in the United States" as far as health care. A recent Health Division report of assisted suicides reveals that not one patient had documented uncontrollable pain. All of the patients who requested assisted suicide cited psychological and social concerns as their primary reasons. 7. 95% of cancer pain is controllable and the remaining 5% can be reduced to a tolerable level.